As you probably already know, Twitter is one of the fastest growing social media networks of our time. That’s why in today’s blog post I’m going to share 8 SURPRISING TWITTER STATISTICS THAT WILL HELP YOU GET MORE ENGAGEMENT. Twitter gives businesses and community managers the opportunity to expand their reach, interact and engage with audiences, and generate brand awareness. With everyone from Taylor Swift to Barack Obama on there, it feels like everyone and their brother are sending out 140 character messages. Well that’s because it currently has almost 284 million active users and you’re most likely one of them. While you’re probably already familiar with the site, we’ve compiled some interesting info that you might not know about Twitter. Over 200,000 corporate tweets from SocialBro were analyzed to come up with some statistics that will help you figure out if what you’re doing on Twitter is working…or not. These 8 surprising Twitter statistics will help you compose more effective tweets and have a higher chance of being retweeted. Let’s check em out! 1) If you put your URL in the middle of your tweet, you are 26% more likely to get retweeted than if you put it at the beginning or end. Click to Tweet! Who knew?! Optimizing your URL placement is an easy way to gain more engagement and get more traffic directed to your website. I personally was usually including it at the end— I’ll be changing that from now on! 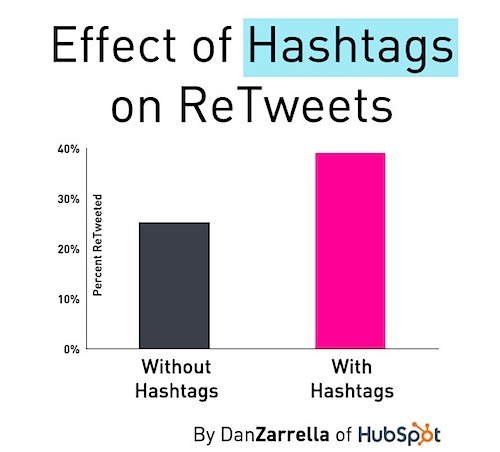 2) Tweets that include hashtags are 33% more likely to be retweeted than those without. Click to Tweet! If you’re not already in the hashtag game, it’s time to get to work because it’s a great way to get more engagement. Hashtags will make your content viewable to anyone who is interested in that tag, not just your followers. Be creative and clever with your hashtags to attract users and try to incorporate them into the text of your post, not only at the end. 3) Direct message campaigns on Twitter have a 300% higher click rate than email campaigns. Click to Tweet! This is great insight! But, remember to the Direct Message the right people. 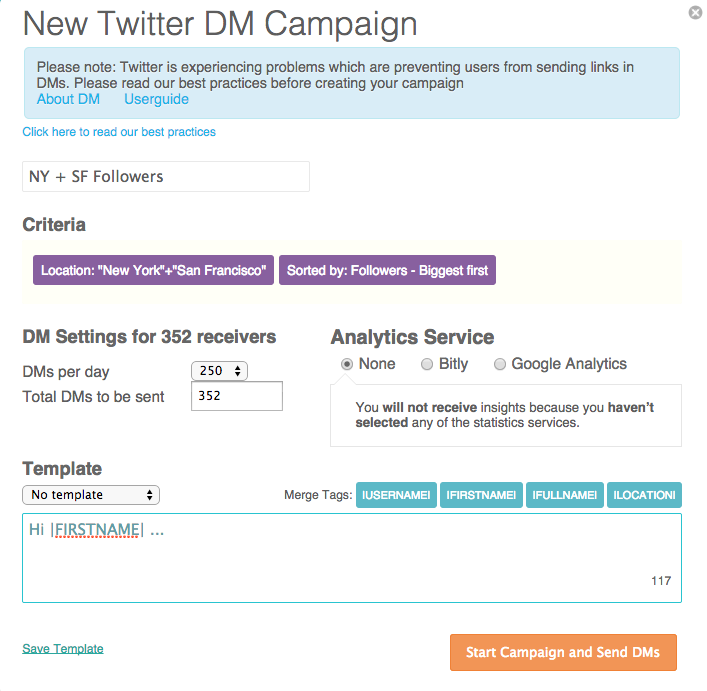 Try sending out more personalized DM campaigns to a segmented group of your followers. That way you’ll avoid the risk of your message feeling like spam and getting unfollowed. 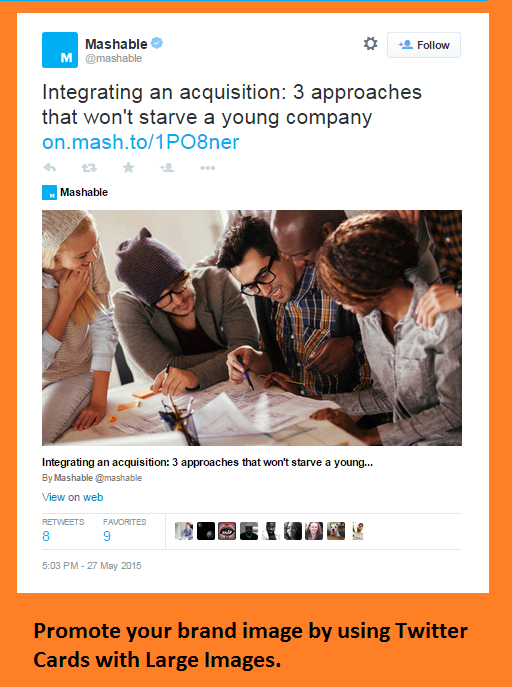 For other great tips check out SocialBro’s best practices for DM campaigns. 4) Tweets with only one hashtag are 69% more likely to get retweets than those with two hashtags. Click to Tweet! Less is more in the hashtag world. Too many hashtags can actually lead to less interaction and less retweets! Don’t overwhelm your followers with too many hashtags. 5) If your tweet has a hashtag with 11 or more characters it’s 117% more likely to get retweeted than hashtags with 6-10 characters. Click to Tweet! A little bit longer hashtag gives you more room to work with to come up with a catchy tag for your content. Remember you can check out the usage of the hashtag with tools like RiteTag that gives you visual feedback about the popularity of a hashtag through colors: green is very positive, blue is regular and red indicates it has been excessively used. So, as you’re writing your tweet you will get info about each of the hashtags you’re considering. Then you can choose the best alternative to make your post reach your audience effectively. Not bad, right? What’s cool is that RiteTag is a also chrome extension! If you want to check out some more interesting and time-saving chrome extension, check out our article 5 Chrome Extensions That All Social Media Managers Should Use. 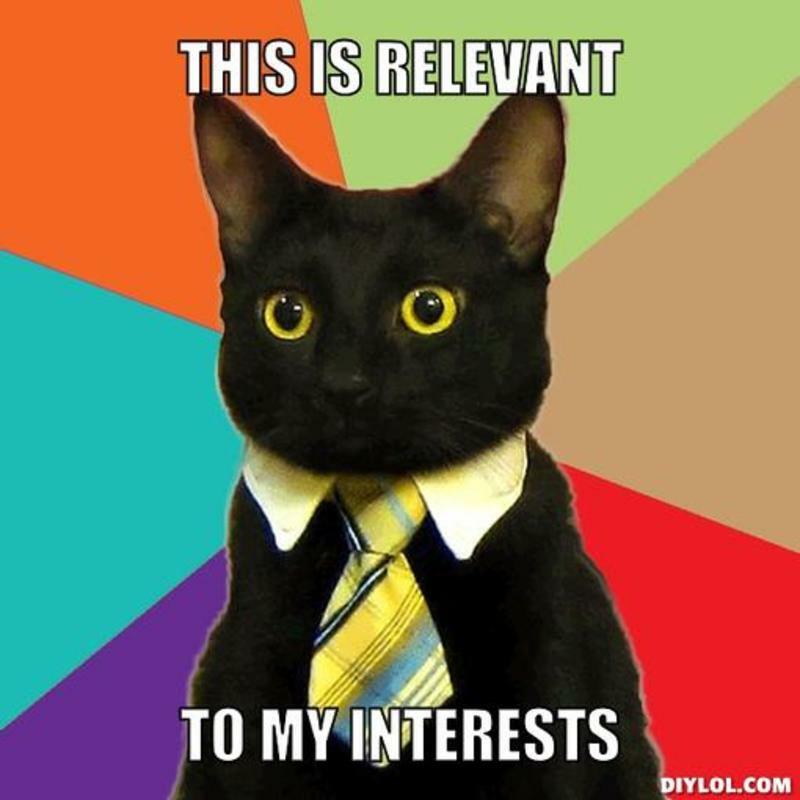 6) Tweets with images are 34% more likely to get retweeted that tweets with no images. Click to Tweet! Images and animated GIFs are a great way to boost engagement and get more visibility on Twitter. Take advantage of Twitter Cards with images to make your tweets more attractive and increase web traffic to your site. To help you tweet with images every day and multiple times a day, you can use Postcron. Our app allows you to schedule posts on Twitter that will be posted for weeks or even months ahead of time. Thus, in one day of work you can make sure that you have tweets for each and every day and even at different times throughout the day. 7) 90% of Twitter users do not end up following a company after engaging in a Twitter-based marketing campaign. Click to Tweet! 90% is a big number! Make sure that you have a retention strategy for after your campaign ends. You don’t want to waste all that hard work and not end up increasing your audience. 8) 15% of Twitter users unfollow a business within 3 weeks if they don’t make a strong effort to engage early. Click to Tweet! Today people are much more likely to unfollow you if you are not engaging on a one-on-one basis. You can do that by asking questions, or posting funny and honest tweets that matter to them. If you would like to know who stopped following you and why, you might want to read Who Unfollowed Me on Twitter? How to Clean Up Your Twitter Account. Keep in mind that getting people to follow you is only half the battle. You can help retain followers by always posting awesome quality content that your users will find valuable. Conclusion: What can we learn from all of these Twitter statistics? Well, your tweets should include images and only one hashtag if you want them to have a higher chance of being retweeted. 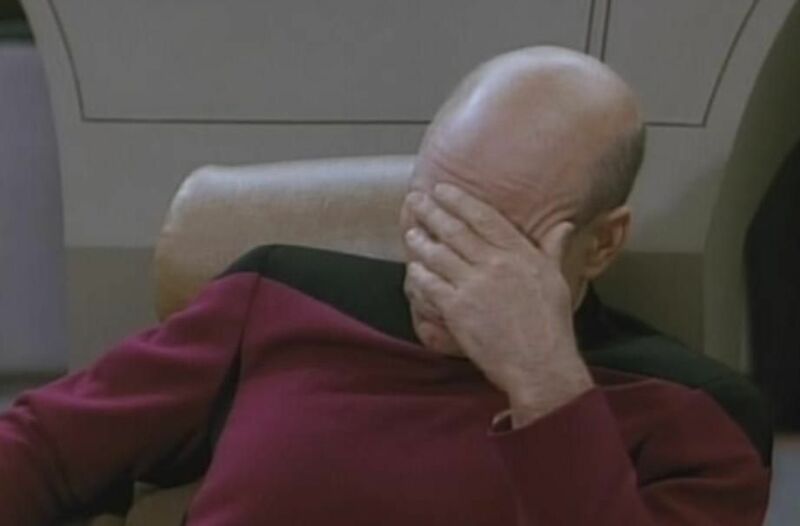 Hashtags should be more than 11 characters and URLs are more successful if placed in the middle of the tweet. Direct Message campaigns are very successful, but only if you have retention and engagement strategies for afterwards. Use these statistics to your advantage and gain more visibility, boost web traffic to your site, increase interaction with the public, promote your brand image, and get more followers on Twitter. Were you surprised by any of these Twitter statistics? Which one did you find the most shocking? We’d love to hear about your experiences and stay tuned, because we’ll be back soon with new exclusive tips to apply to your social networks!